Stephen Curry’s recent development is fantastic news for the Golden State Warriors and Curry. Sadly, that same news is detrimental for the rest of the NBA. Every spectacular three-pointer the point guard hoisted up before the end of March has come with a handicap. Curry just started wearing contacts. The father of Riley Curry said he just discovered that he had astigmatism, which gives you blurry vision. Ever since he’s started using the contacts prescribed to him, he’s seen life much differently. “It’s like the whole world has opened up,” he said. The use of the contact lenses also directly correlates to his improvement on the court. Through February and early March, the sharpshooter struggled. As of late heading into the NBA playoffs, Curry’s statistics have improved. 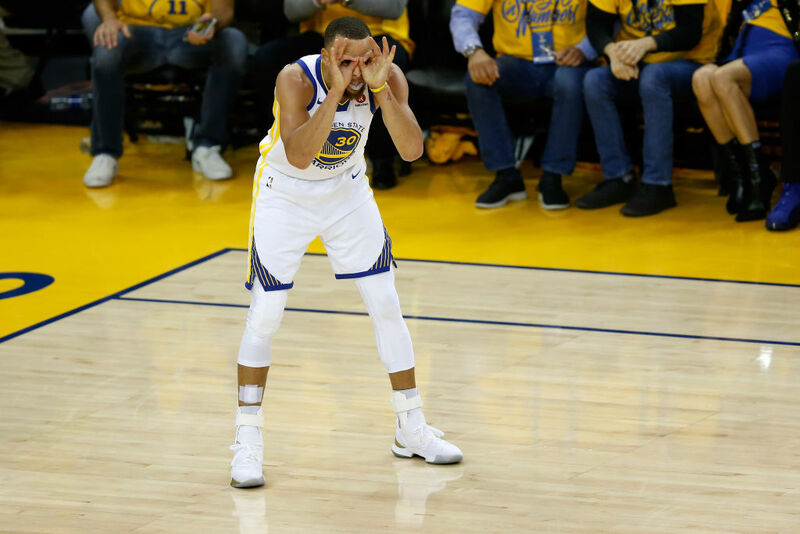 Bleacher Report noted that Curry’s shooting percentage jumped to 48.7 percent from the three-point in his past nine games as of April 3, 2019. The Warriors have only five games left before the playoffs start and whomever they match up against should be very afraid of the new and improved Curry.